If you have just hopped onto my blog, you can start here as this is a circular hop, but if you want to follow us across Canada then please start at the beginning and join Julie at 12 x 12 Travels . If you came from Brandy's Canadian Scrappers then you are in the right place! 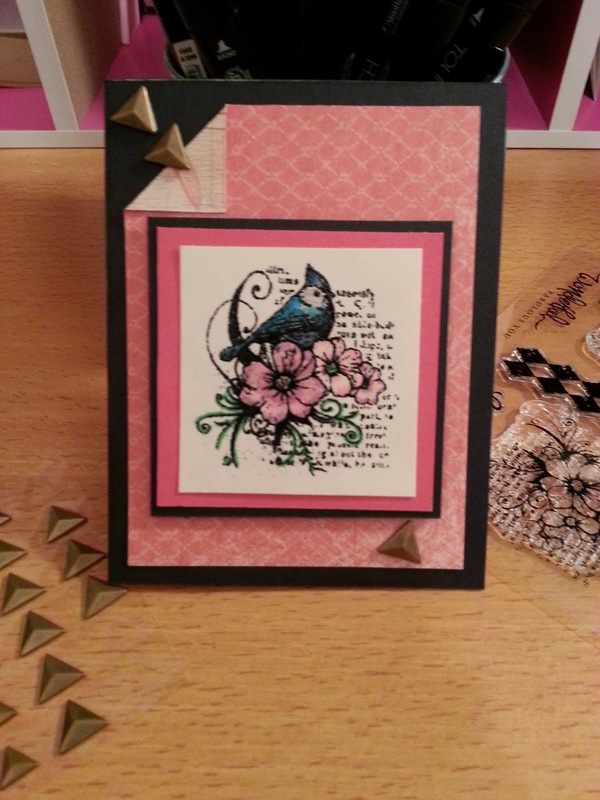 I made this fun little card by heat embossing the image first and then colouring in with the markers. The paper is from the Seaside collection. When I saw the sneakers I knew I would be filling in all the little shapes with colours and the markers are perfect for that. Your next stop on the Cross Canada Hop is Terry Ann's Just a TAD Crafty . If you get lost along the way, you can head to Michelle S Blog, My Creations with Michelle , as she has the complete blog list. Stunning card, I love the detail put into this card. Lovin' the sneakers. Ha i love how you did the shoes. Too cute! I love the card too! Adorable shoes!! 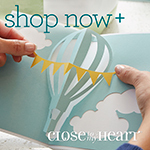 What a fun project for kids to do. What did you use inside the shoes to create pressure to stamp against? 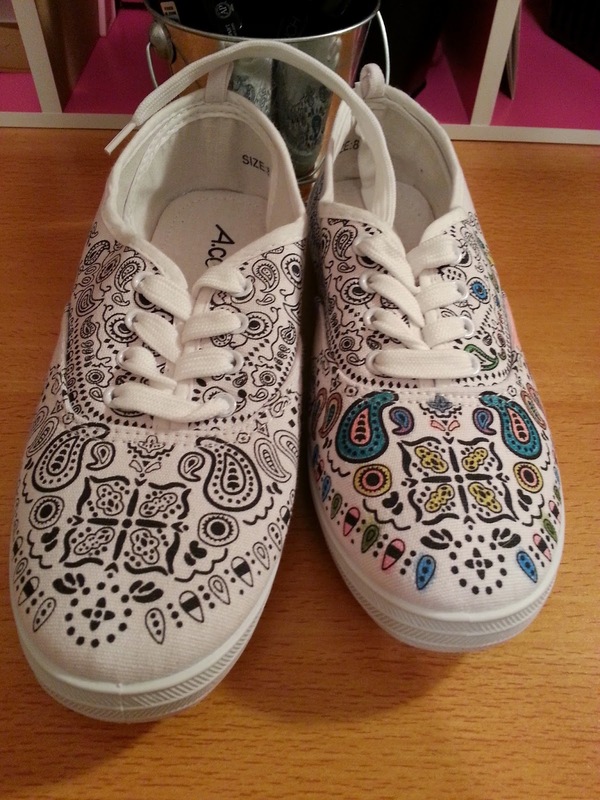 I bought the shoes at Ardene's with the design already on them - just needed to colour them in with the markers. Love the shoes. Card is exquisite! Beautiful card Sandra!! Miss you! Thanks every one! Had fun working on both! I can't wait to get the rest of the markers!! 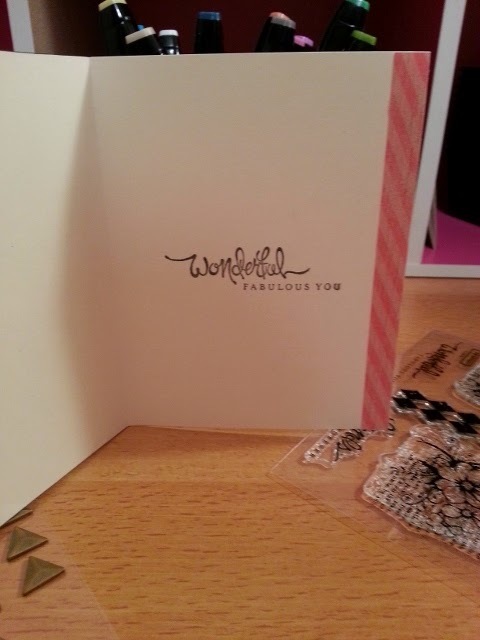 lovely card and I agree...this stamp set is one of my favourites too!